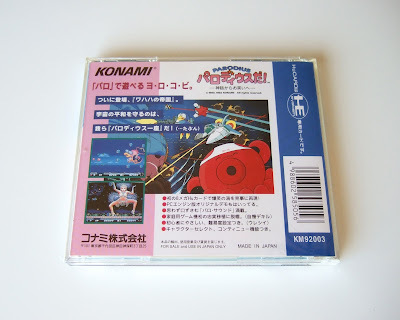 Before I became aware of games like Konami's Parodius Da!, I wasn't all that interested in the shoot 'em up (or shmup) genre. Sure, early examples like Galaga and Gradius and even R-Type were well crafted and provided a certain thrill, but their deep-space, sci-fi settings left me kind of cold. The second I laid eyes on titles like Parodius Da! and Detana!! 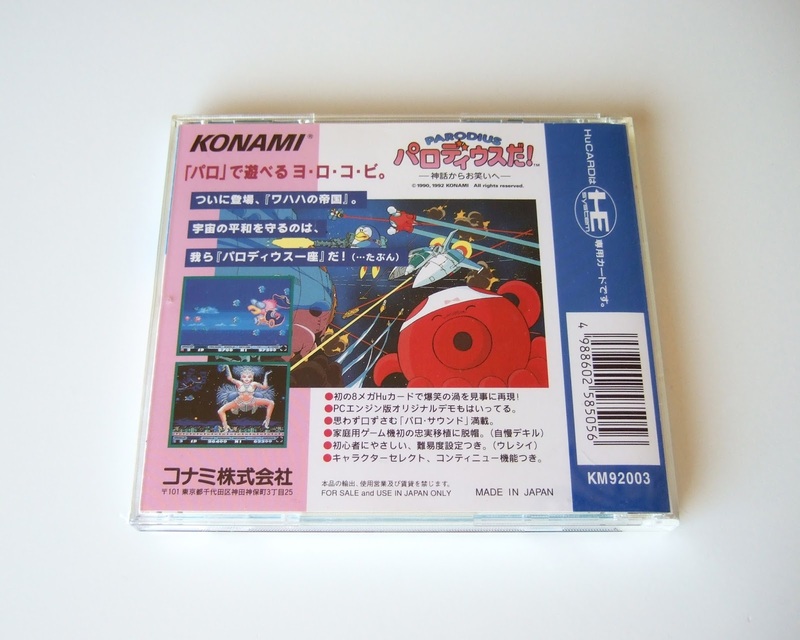 TwinBee, though, I knew those chills--the bad sort, at least--were a thing of the past. 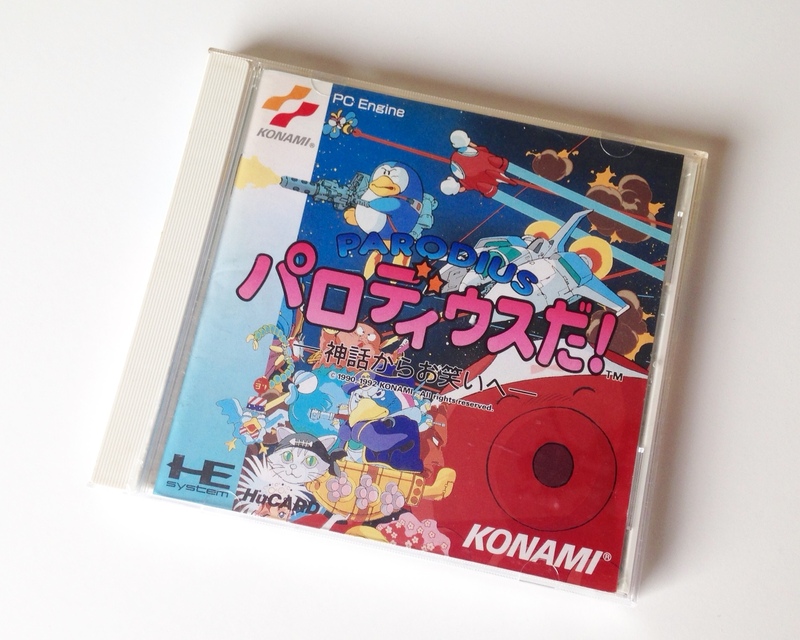 Although TwinBee and other, similar, games like Cotton, Hana Taaka Daka! ?, PC Denjin and Twinkle Star Sprites, give me the warm fuzzies, none of them do so as strongly as the game that basically defines the entire cute 'em up genre. Naturally I'm talking about Parodius Da! What's so great about it? For starters, there are the visuals. Calling them "candy coated" or "kaleidoscopic" or anything of the sort doesn't quite do them justice, in my opinion. So what does do them justice? How about "so crazy and colorful they'd make the Ringling Bros. proud." OK, that's maybe a bit over the top, but if it conjures up thoughts of flying penguins, bathing octopuses, sunglasses-wearing moai statues and other circus-esque entities, well, it's done its job. 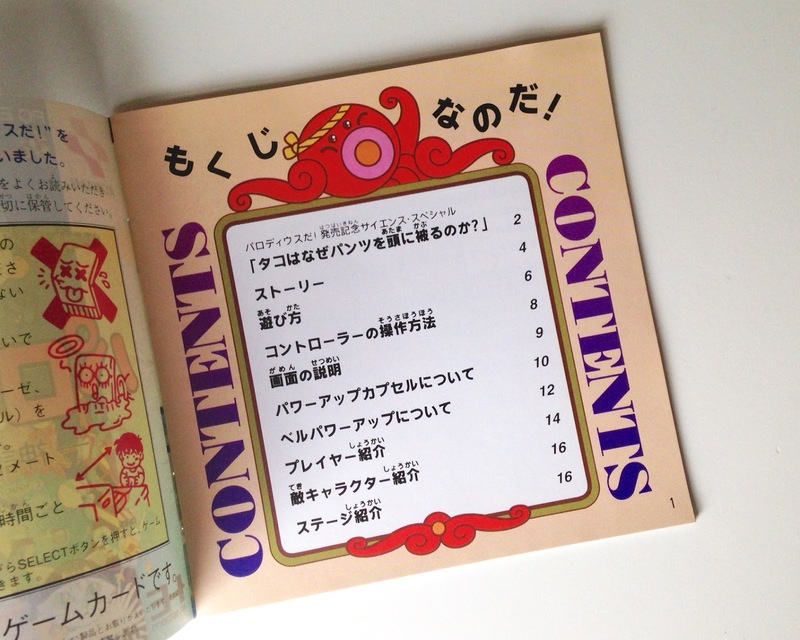 There's a lot more to Parodius Da! than its graphics, though. Nearly as important to its stature as a top-shelf cute 'em up is its wacky soundtrack, the bulk of which consists of remixes of classical music. 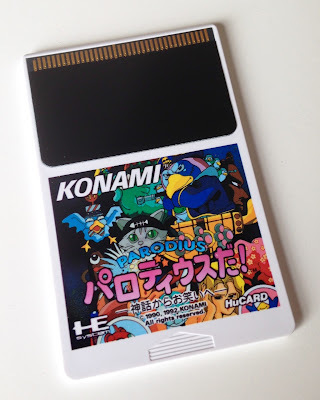 The cherry on top: this entry, like pretty much all of the Parodius series' entries, hits the gameplay sweet spot in that it's equal parts fun and challenging. And then, of course, there's this title's packaging. I wouldn't say the cover art produced for the PC Engine port is as stellar as the imagery created for the Super Famicom one, but it's still far better than OK.
Its HuCard label and manual innards are similarly sensational--as evidenced by the snapshots above--while the back of its case is just so-so. Oh, well, you can't always have it all, right? See also: 'Nice Package!' 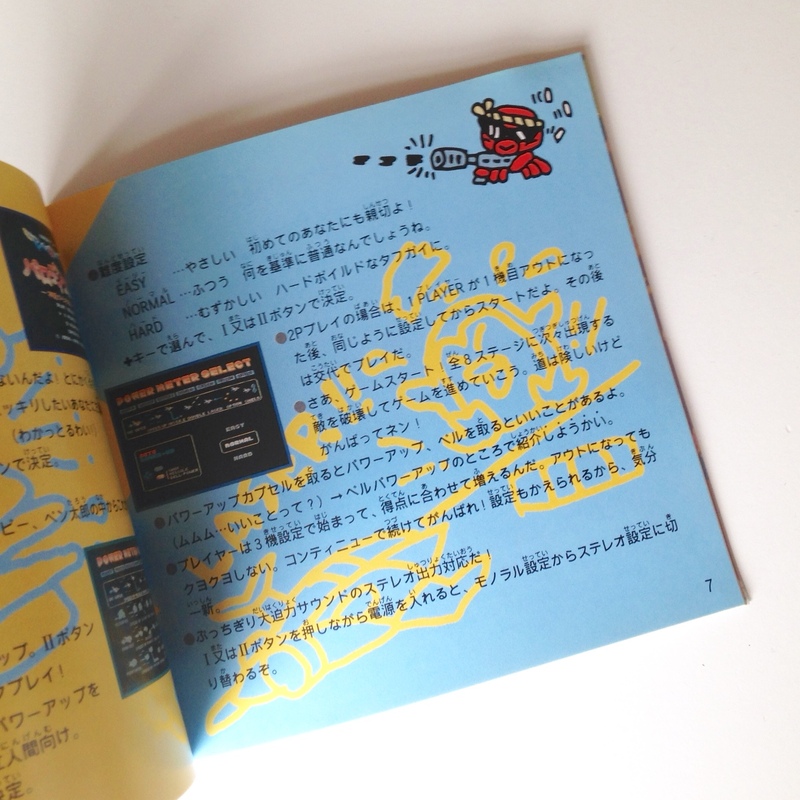 posts about Pac-Land, KiKi KaiKai and Hana Taaka Daka! ?